This site is outdated. Please visit my personal page. 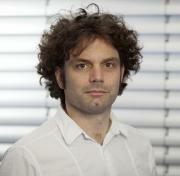 I am a postdoctoral researcher at the Cognitive Systems Group at the University of Bremen. The aim of my research is to enable machines to show adaptive behavior towards new situations, unexpected events, changed circumstances, and interaction with human or artificial partners - that is, in a large and feature-rich space. In my understanding, the question of how to reuse gained knowledge is central for exhibiting such adaptive behavior, and the capability of abstraction is key to allow for that. Thus, my research is centered around abstraction techniques in adaptive artificial systems. Up to 2010, I was a member of the R3-[Q-Shape] project in the DFG collaborate research center SFB/TR 8 Spatial Cognition, where I am still closely associated with. Since 2011, I am executive manager of the International Lab for Local Capacity Building (Capacity Lab). My main research interest is the representation of space in applications. I have been working extensively on spatial abstraction techniques for machine learning, in particular reinforcement learning. My main interest is the application of reinforcement learning in large state spaces and real-world systems such as robots, and I am convinced that the representation of space plays a crucial role there. I am also interested in cognitive robotics in general and abstract robot mapping in particular. Some of my research is concerned with processes in logistics and understanding and interpretation of these processes as well as application of cognitively motivated methods to industrial production. Currently, I am applying my research in the field of ICT4D (ICT for Development). Qualitative Spatial Abstraction for Reinforcement Learning (concluded August 2009). The corresponding book Qualitative Abstraction for Reinforcement Learning is available from Springer. A great gift for all your friends and family members interested in machine learning and the role of spatial representations. Contains color graphics!